Jason Hurdich providing sign language services for Gov. Nikki Haley. 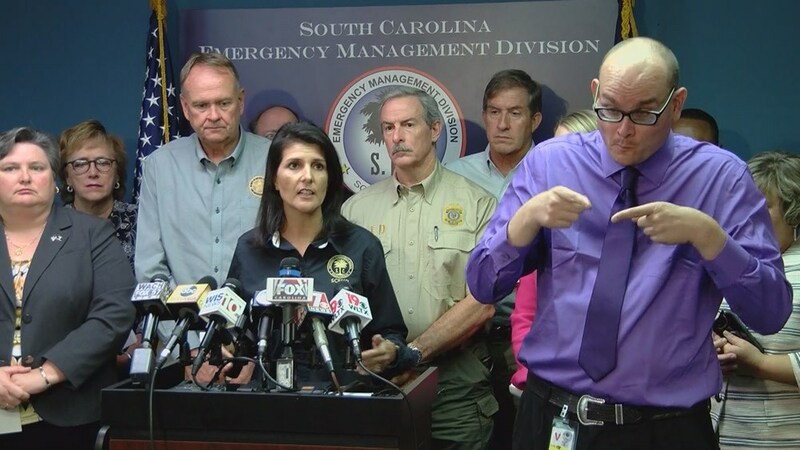 COLUMBIA, SC (WIS) - As Hurricane Matthew took aim at the Palmetto State, certified deaf interpreter Jason Hurdich stood next to Gov. Nikki Haley communicating the crisis as only he could. He'd been asked to be there by the deaf services coordinator for the state Department of Vocational Rehabilitation.